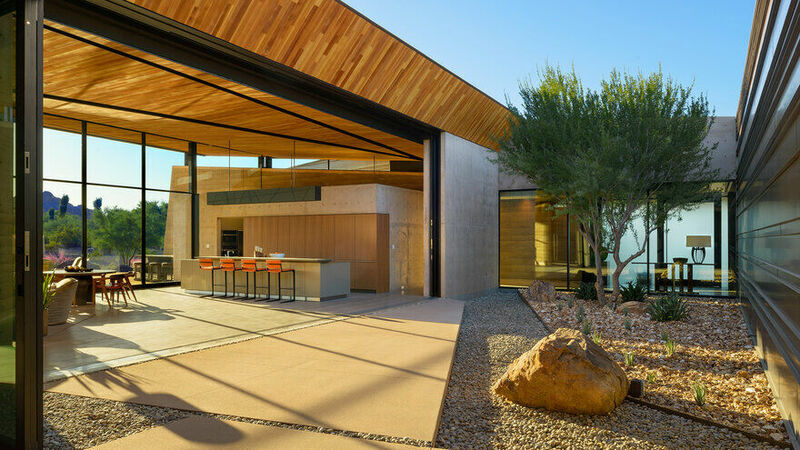 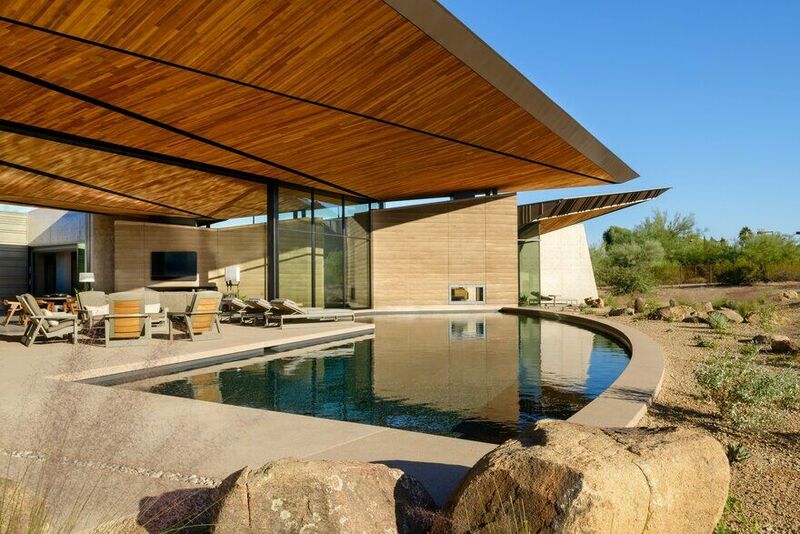 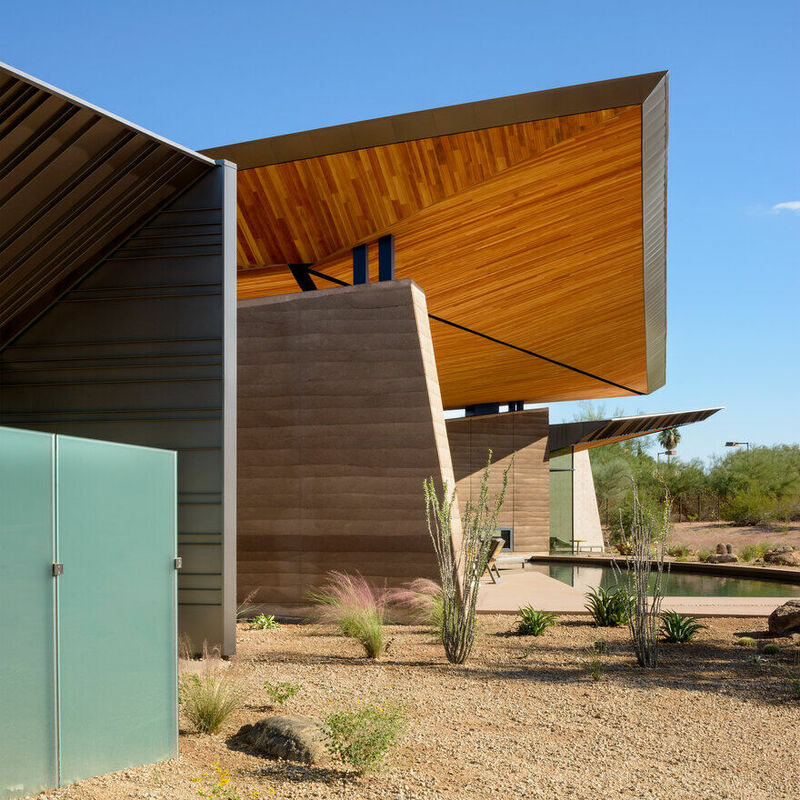 Desert form, indigenous materials, natural light, and mountain views inspire this home. 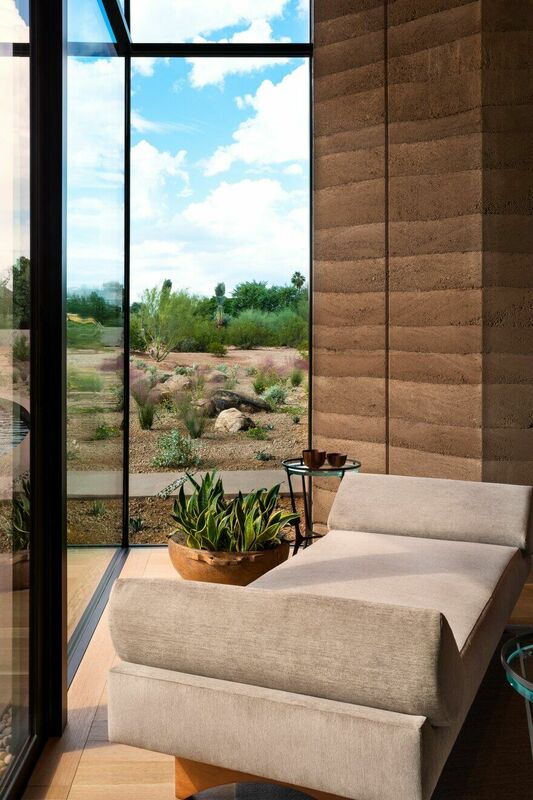 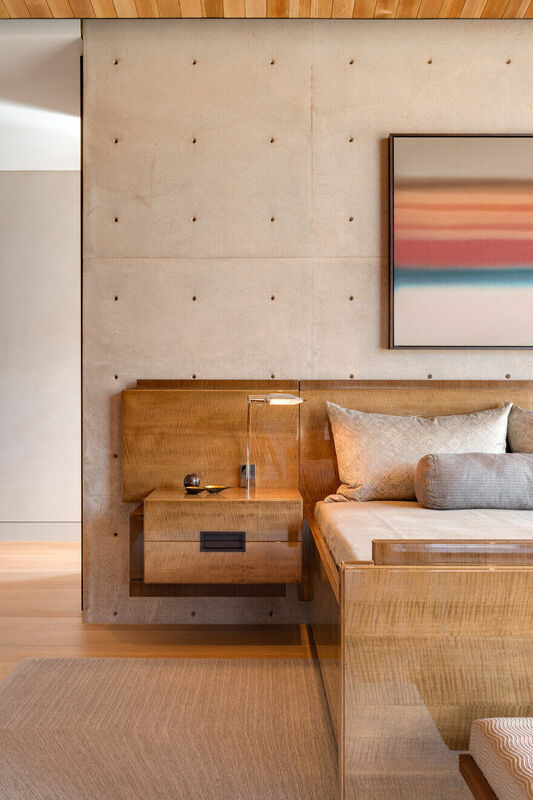 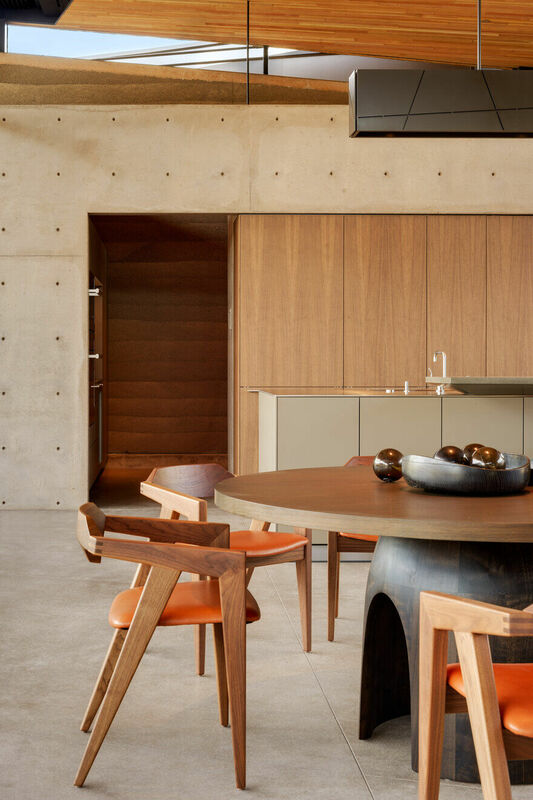 Layered walls of rammed-earth, metal, concrete, and glass create a playful collection of organic forms within a natural desert setting while visually articulating the various functions within. 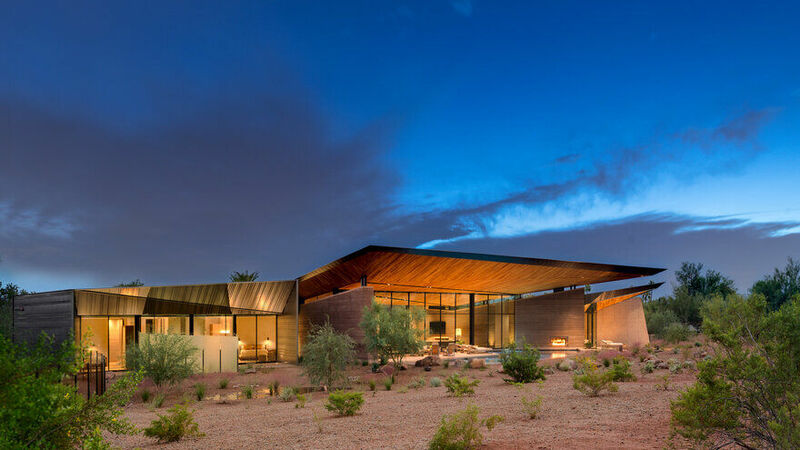 The signature feature of the Dancing Light Residence is its floating roof canopy, the underside of which is comprised of tectonic-like forms inspired by the local geology and monsoon cloud formations. 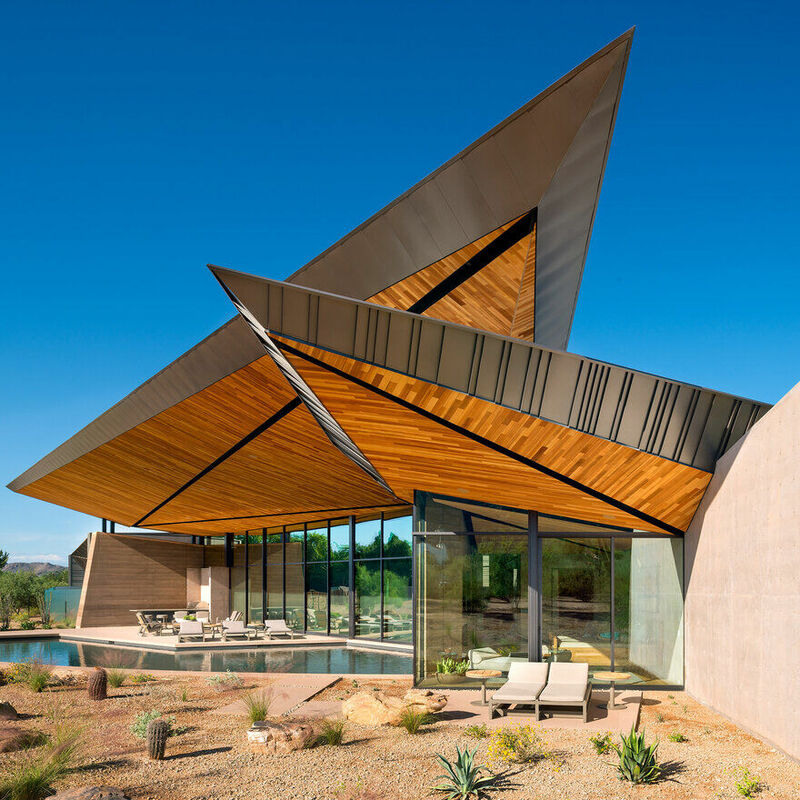 More than just sculpture and protection from the elements, this canopy balances the owner’s desire for both grandeur and coziness, starting low within the interior living spaces and rising dramatically towards the 180-degree mountain view. 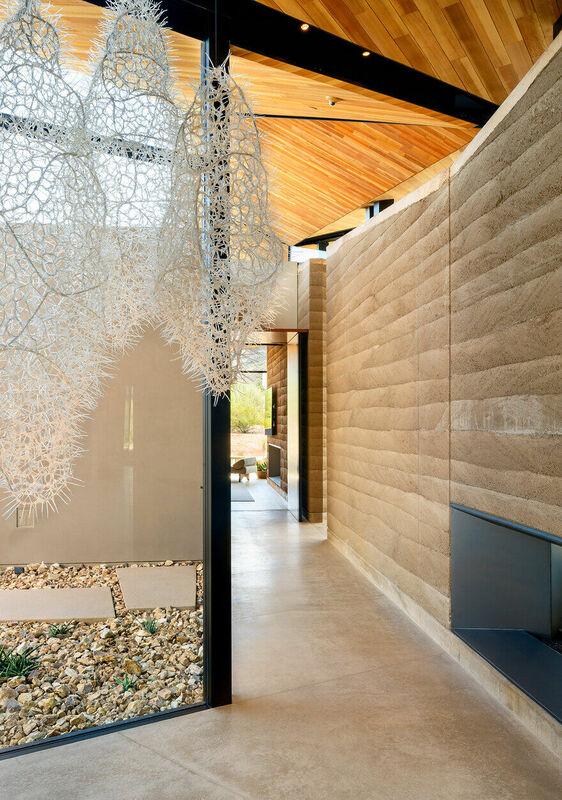 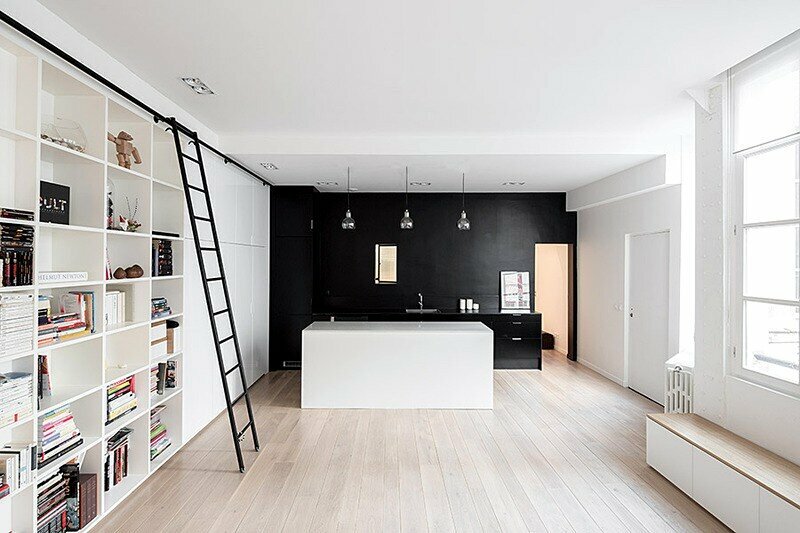 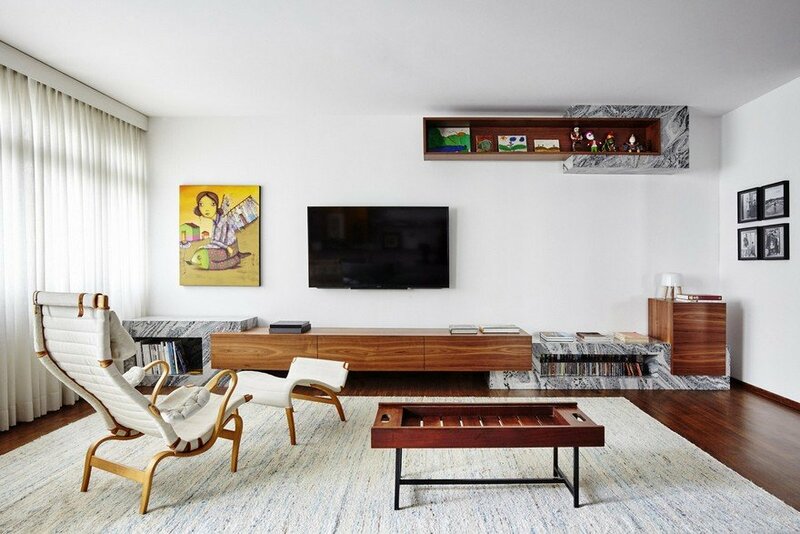 All lighting and mechanical devices are carefully concealed within the fissures of this feature, allowing the form and materials to be the focus. 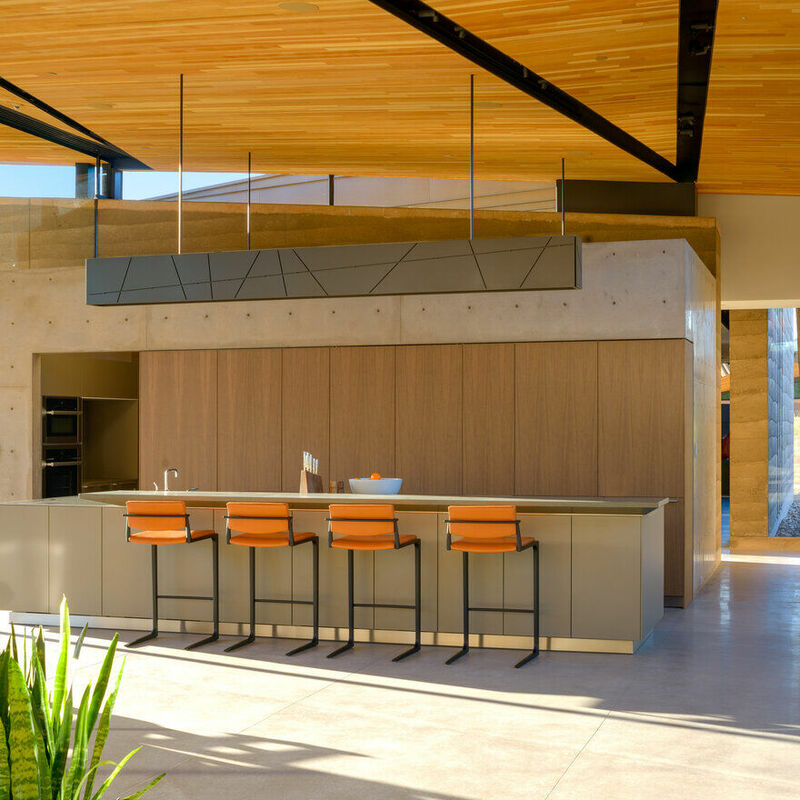 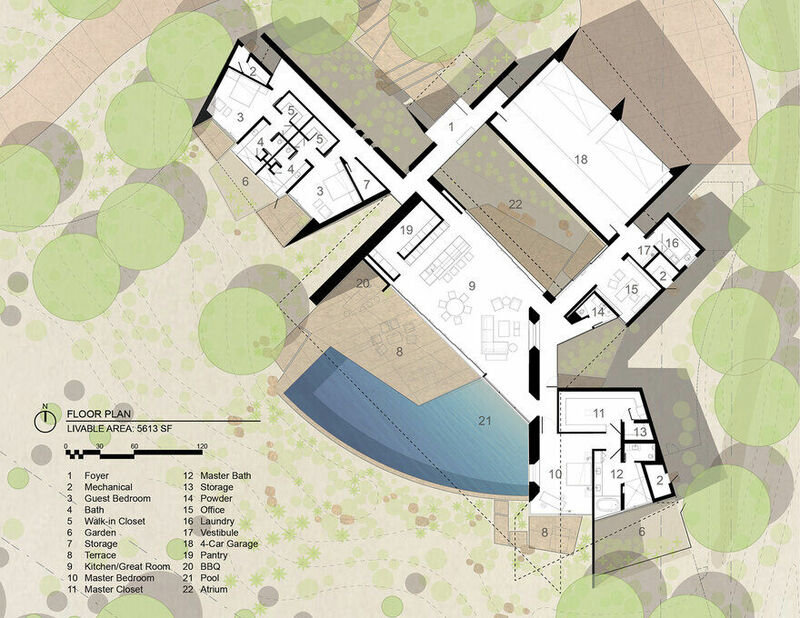 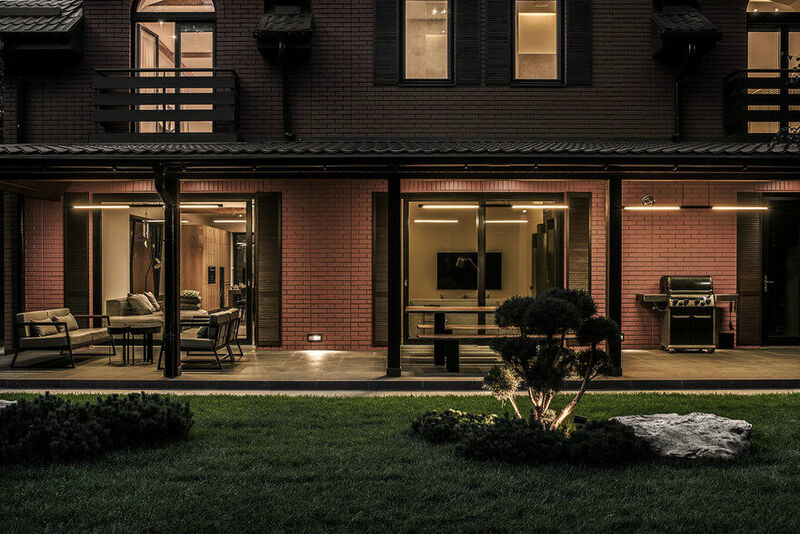 A passive feature includes interior spaces arranged about a central outdoor atrium, allowing modulation of daylight and breezes to provide natural interior comfort. 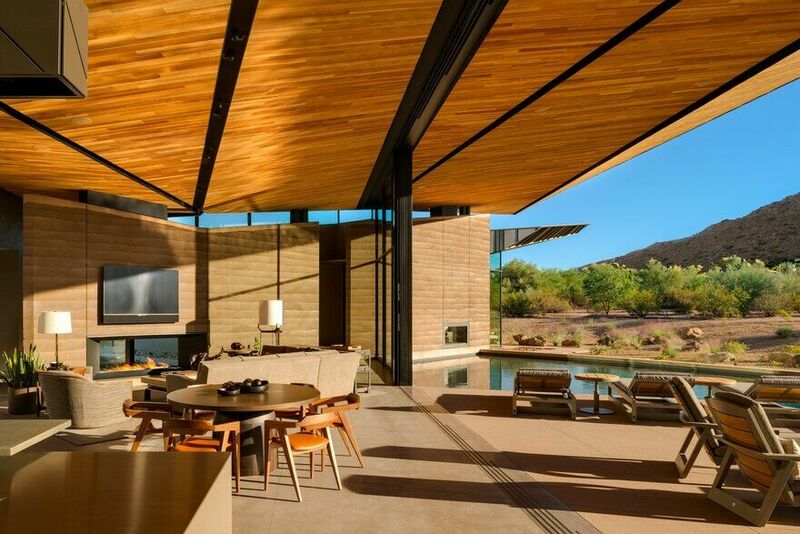 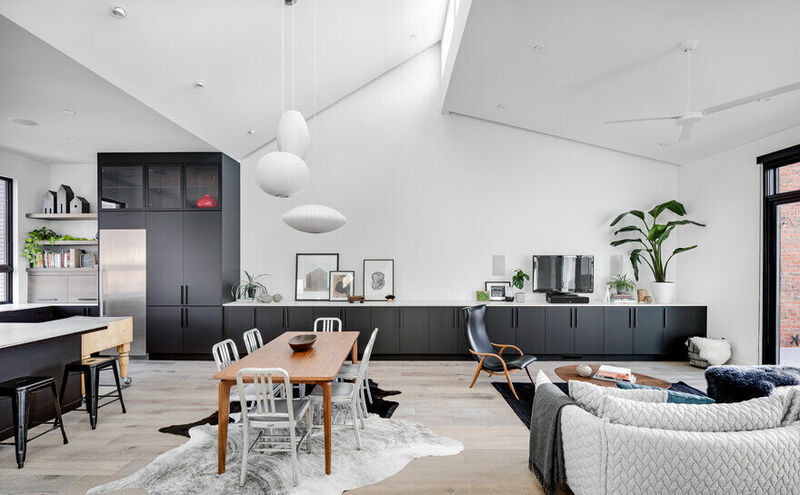 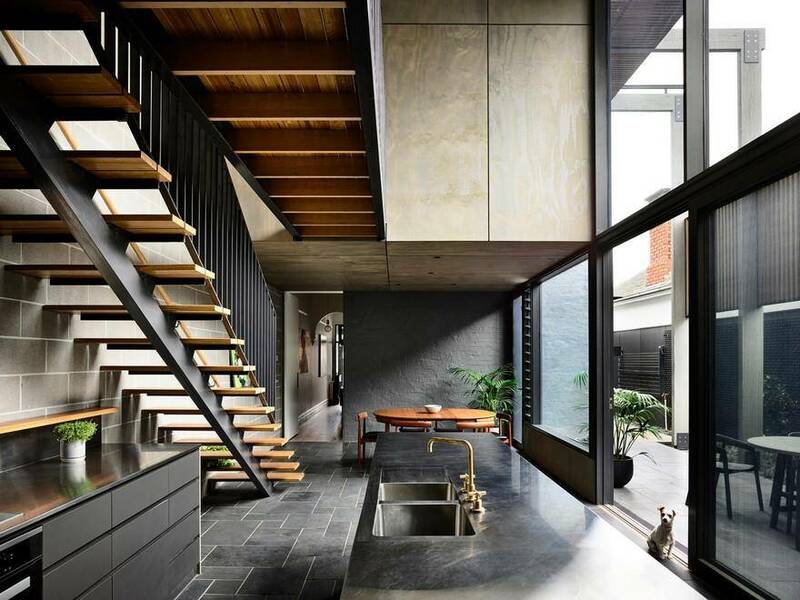 Natural light brings this home to life, seeping in through carefully articulated crevices or reflecting off the strategically located pool, constantly transforming the mood of this home. 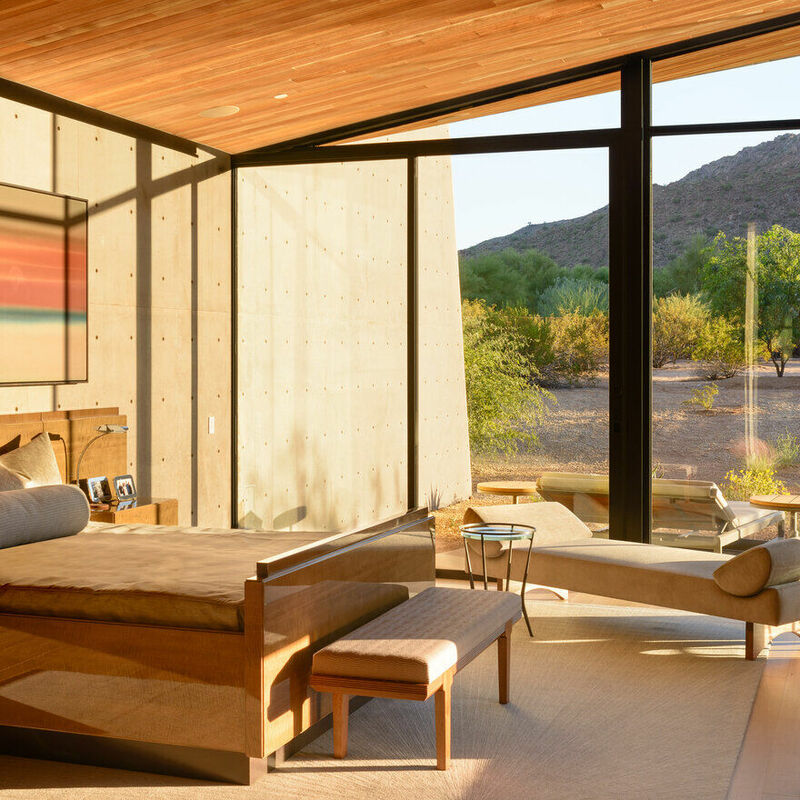 At times water-reflected light dances across the fractured planes of earth and wood while other times providing a Zen-like sense of calm.